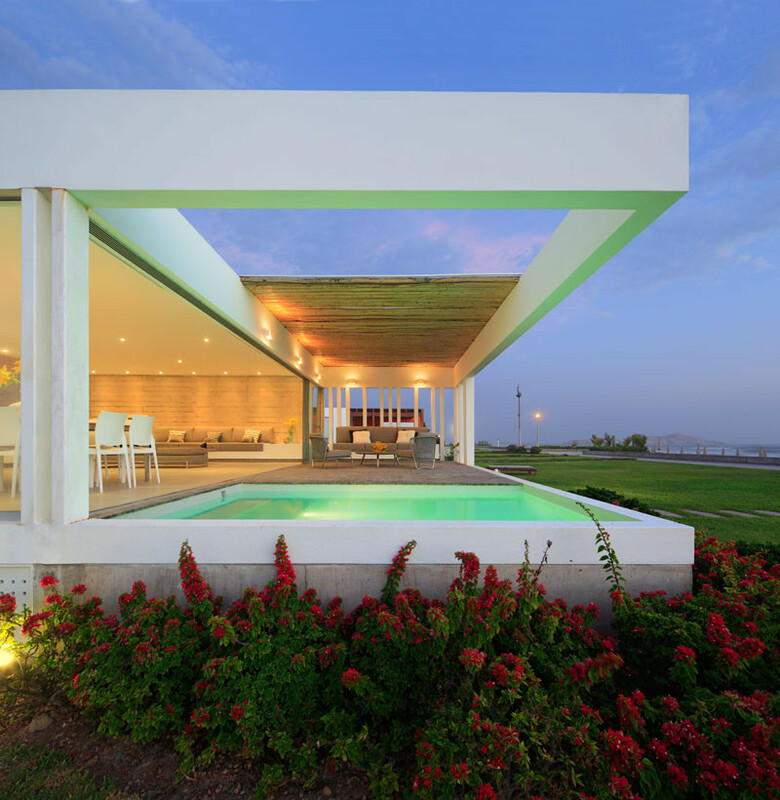 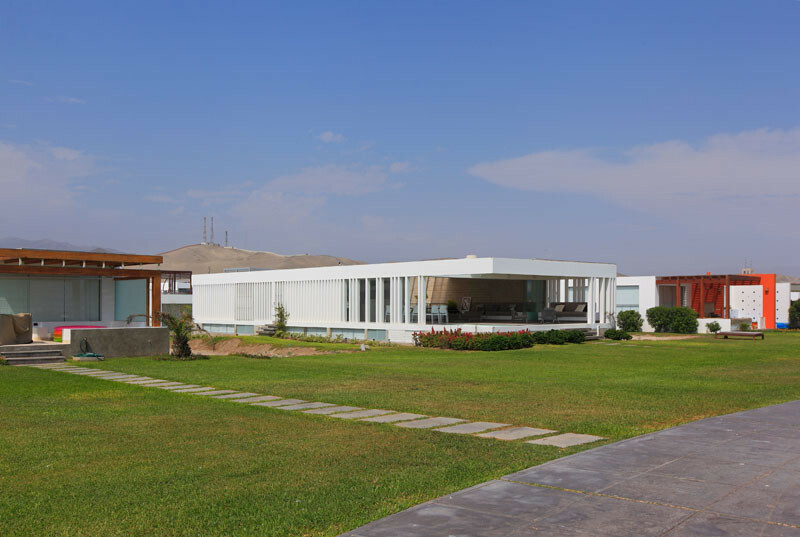 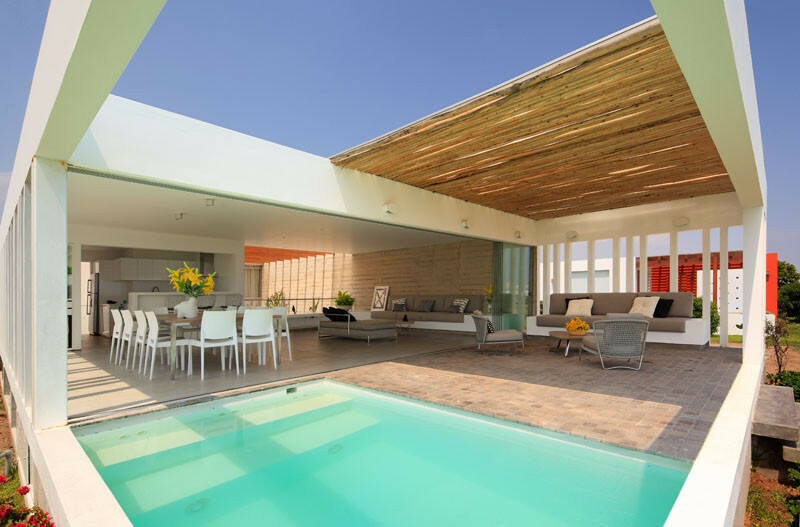 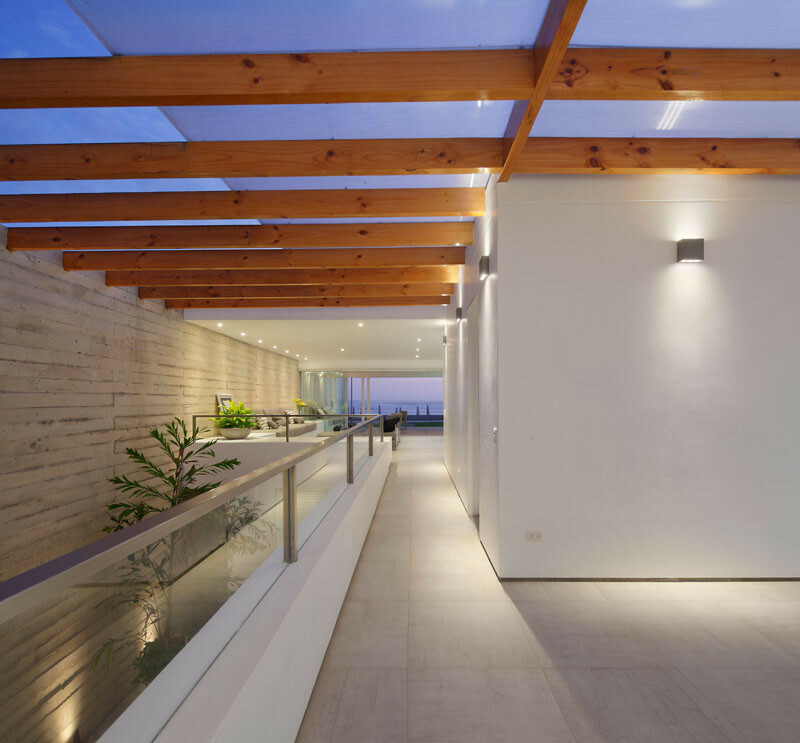 Architect Martin Dulanto Sangalli has designed this beach house located in Lima, Peru. 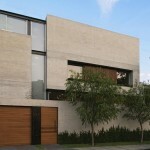 The home has been designed as a big white box, with vertical cuts that create a sense of texture. 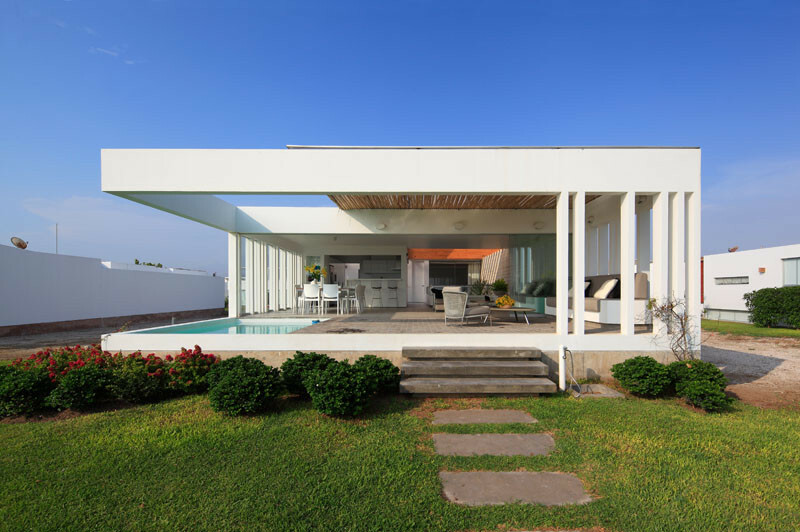 The white box sits on top of an exposed concrete structure, that is home to the basement. 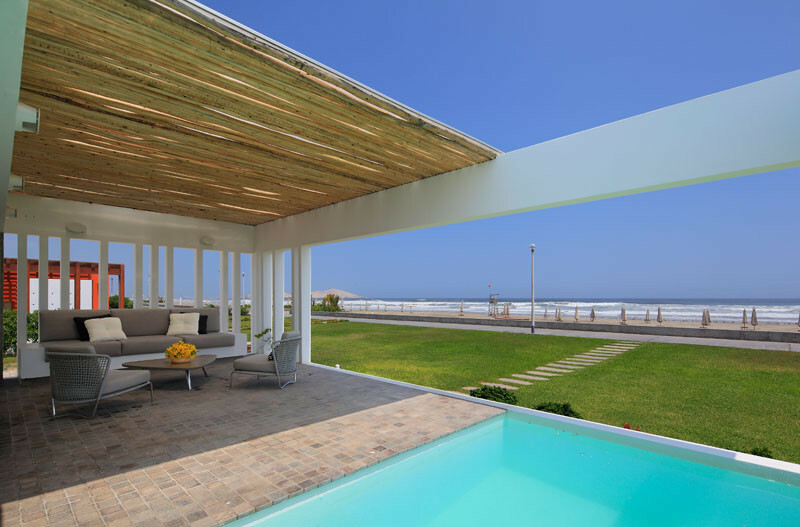 The home is next to the beach, with a covered patio to sit in and enjoy the view. 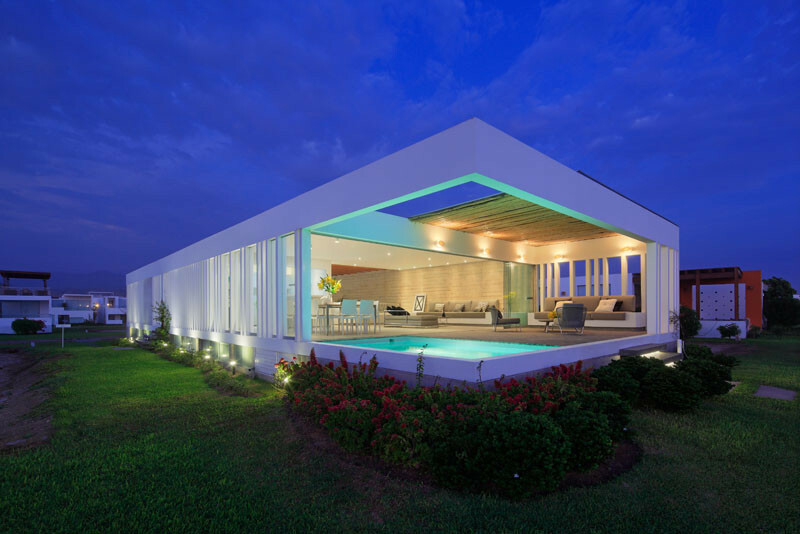 There’s a small built-in pool that is ideal for relaxing in when it’s hot. 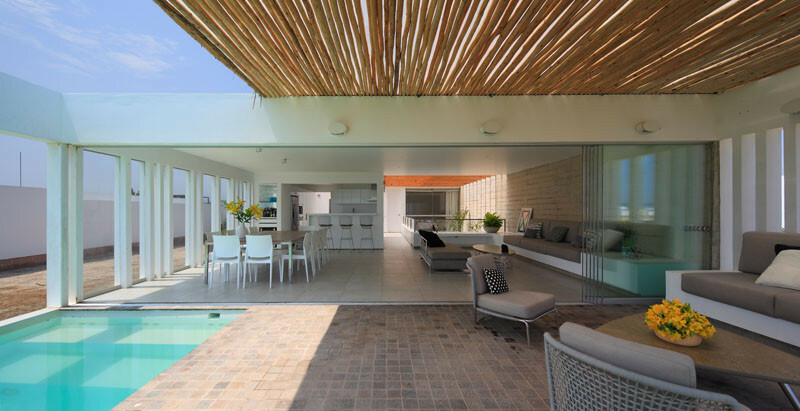 The patio area has direct access to the main interior living area. 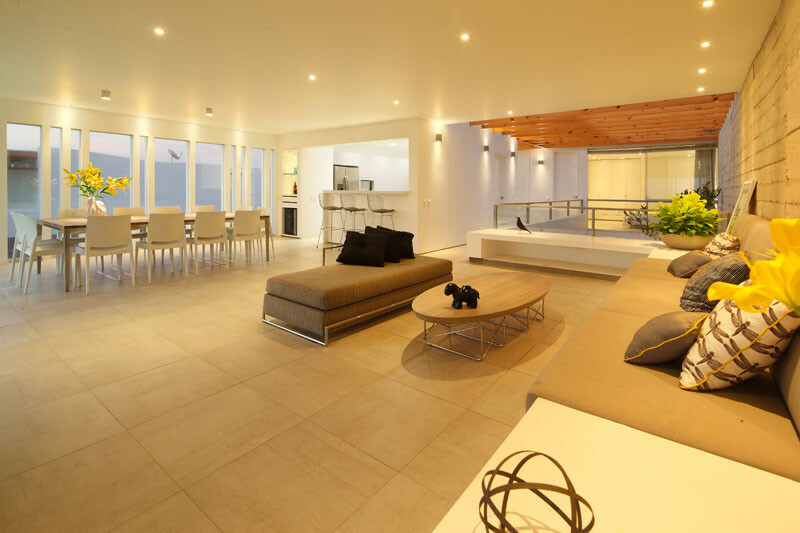 Inside, the design has been kept all open plan, perfect for entertaining guests. 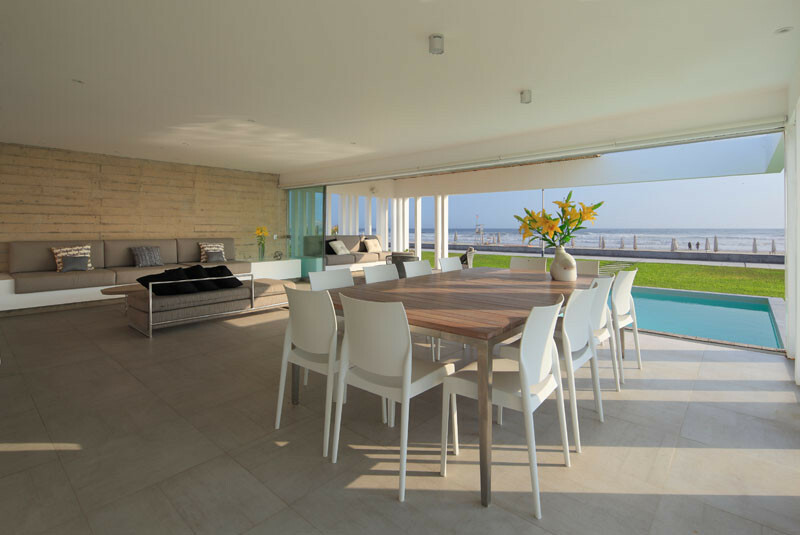 There’s a small bar with wine fridge, and a large 12 person dining table. 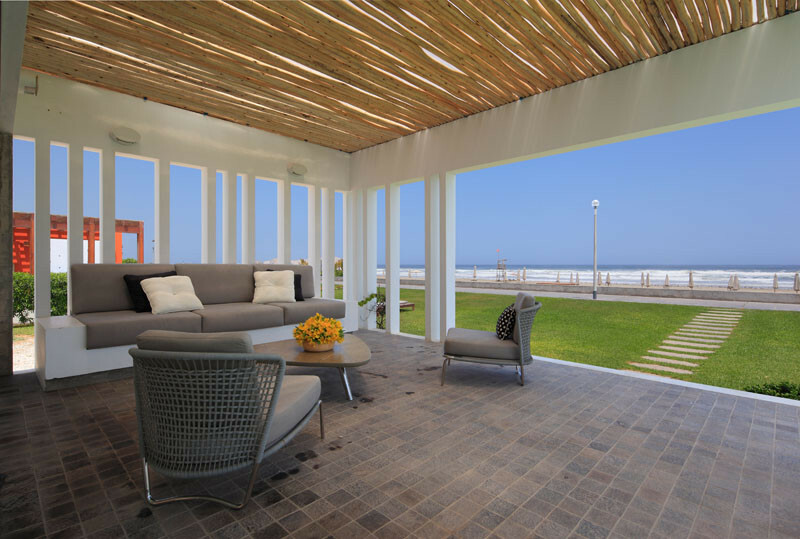 Here you can see how the living area has an uninterrupted view of the beach. 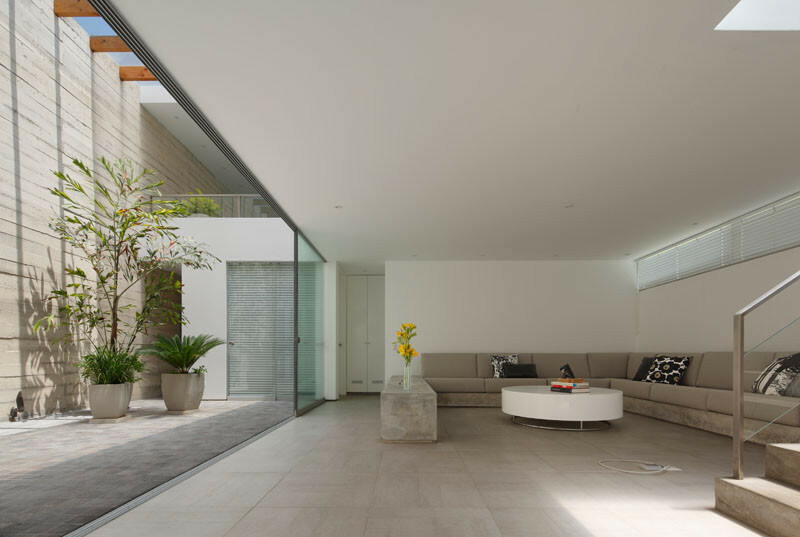 A perfectly fitting sofa lines one wall, with views of the bedroom on the right. 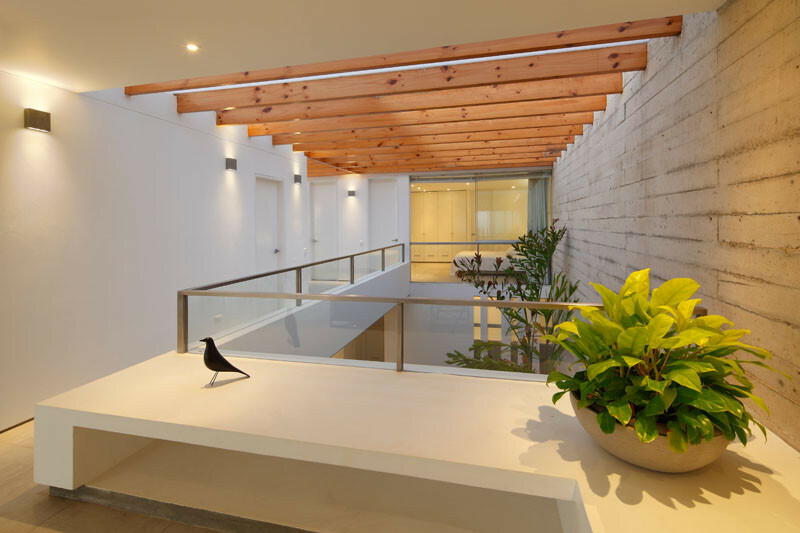 The walkway to the bedroom overlooks the lower floor. 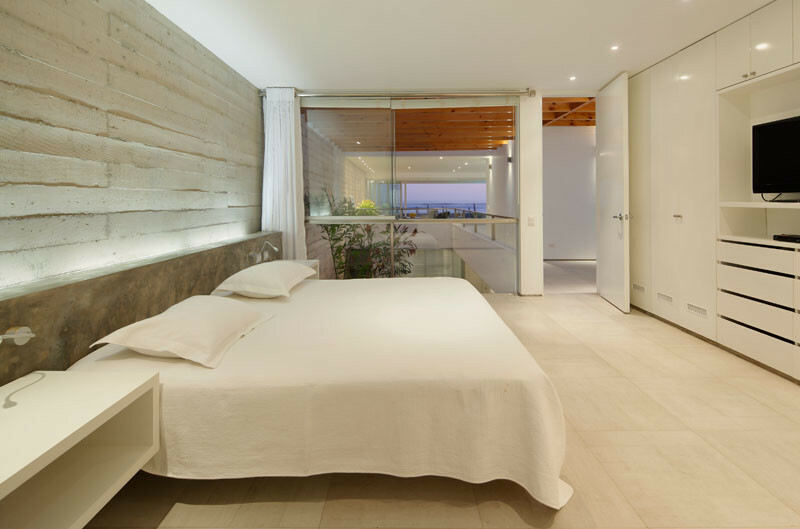 The bedroom, which uses the raw concrete wall as a feature wall, also has a full wall of built-in cabinetry. 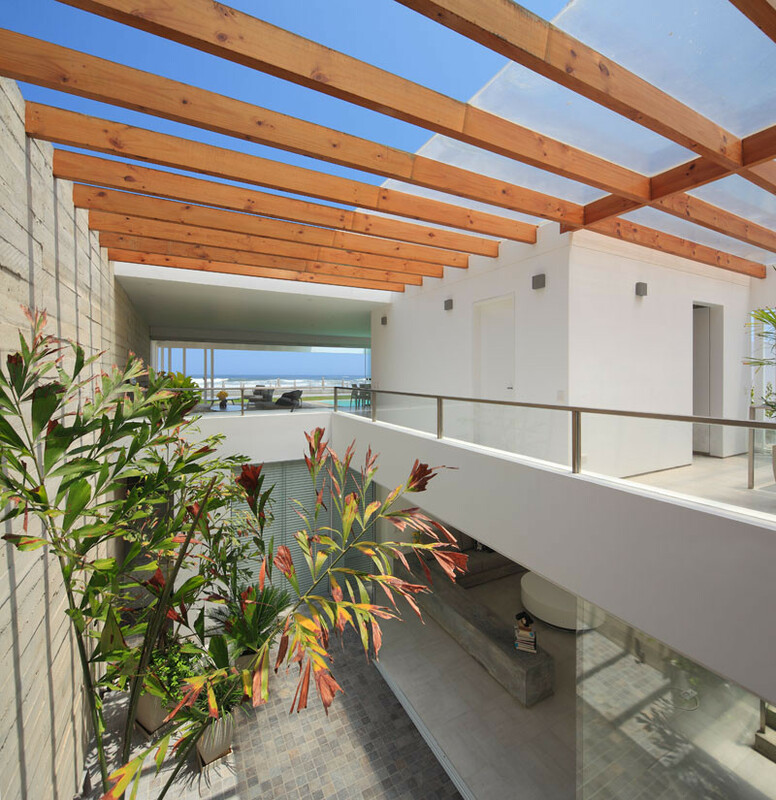 Back at the walkway, when you look over you can see the central courtyard and basement below. 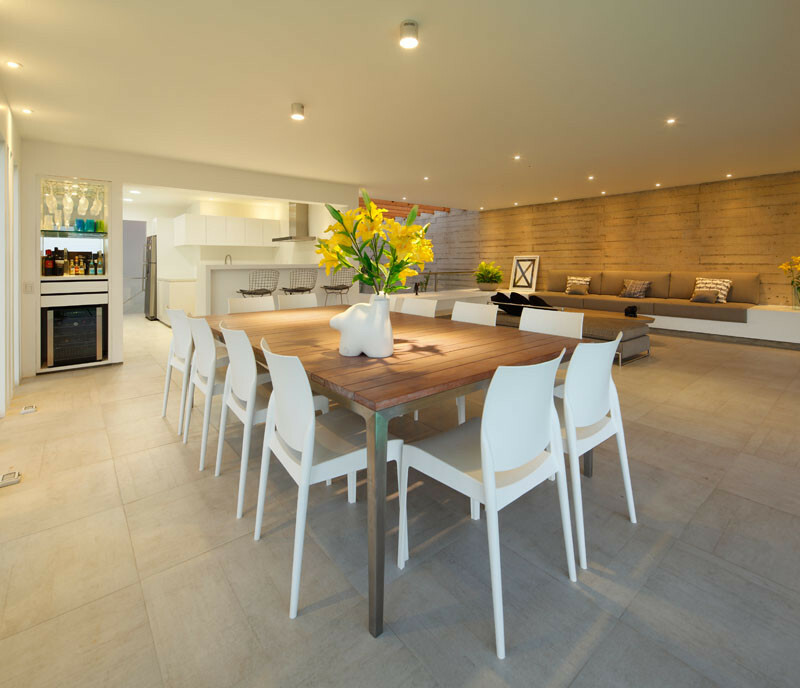 The basement is home to a lounge area with a neutral color palette. 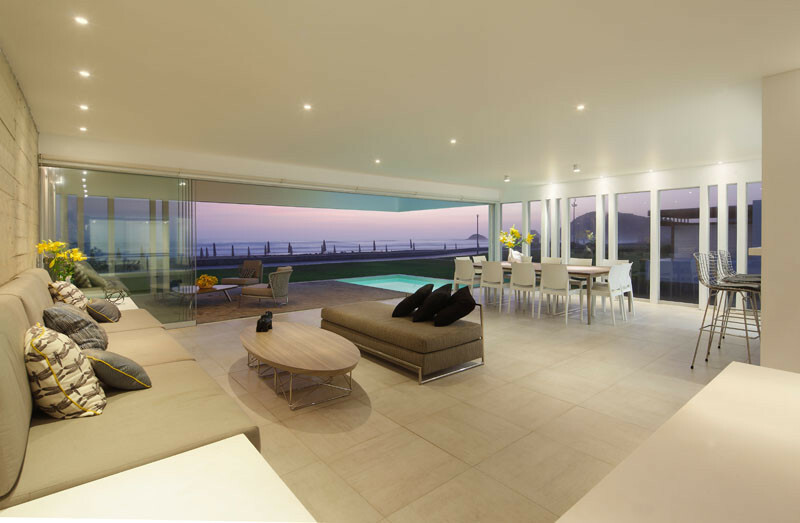 Apart from the lounge area, there are also four bedrooms with bathrooms on this level.